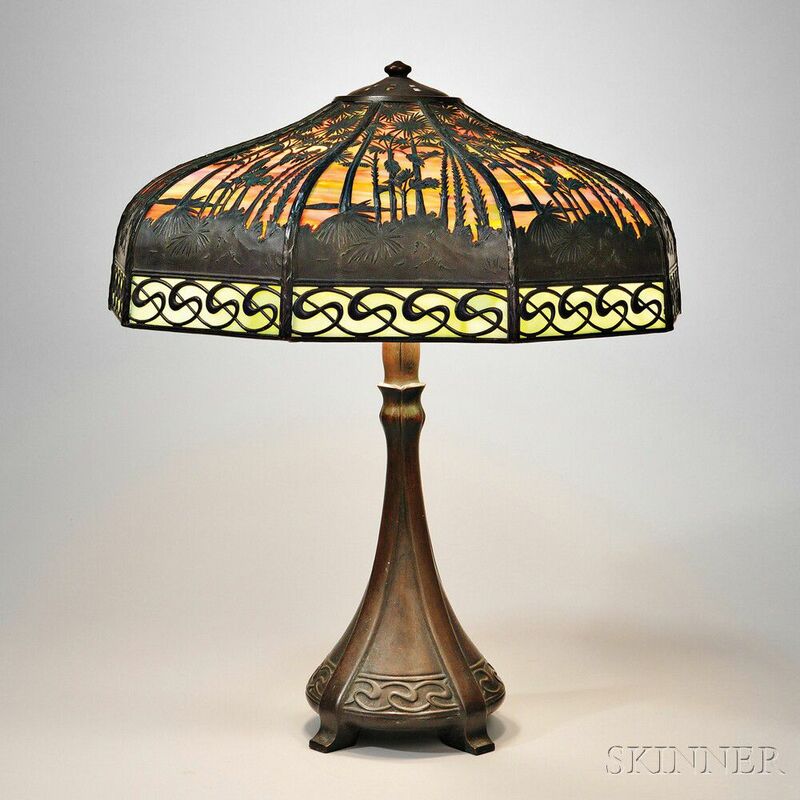 Domed shade, slag glass panels with metal overlay depicting a landscape with palm trees, panels at the aperture with abstracted wave pattern; lower part of base a conical form on raised feet with panels at bottom repeating wave pattern on shade, slightly swelling stem, three sockets, pierced metal cap; shade stamped Handel Pat'd No. 924457, base with molded mark Handel, ht. 23 1/2, shade dia. 20 in.